Paz Lenchantin (born December 12, 1973 in Mar del Plata, Argentina) is an Argentine-American musician. She came to Los Angeles, California with her family at the age of four. My Morning Jacket is a Grammy-nominated American rock band. The band comprises Jim James (singer-songwriter, guitarist), “Two Tone Tommy” Blankenship (bassist), Patrick Hallahan (drummer), Carl Broemel (guitarist, pedal steel guitarist, saxophonist, vocalist), & Bo Koster (keyboardist). Sir Michael Philip “Mick” Jagger (born 26 July 1943) is a Golden Globe- and Grammy Award- winning English singer-songwriter, rock musician, and occasional actor, best known for his work as lead vocalist of The Rolling Stones. Midlake is an American rock band from Denton, Texas. The band first gained popularity in Europe, signing to Bella Union Records and playing at festivals such as Les Inrockuptibles, Wintercase, and South by Southwest. John Winston Ono Lennon, MBE (born John Winston Lennon; 9 October 1940 – 8 December 1980) was an English rock musician, singer, songwriter, artist, and peace activist who gained worldwide fame as one of the founding members of The Beatles. 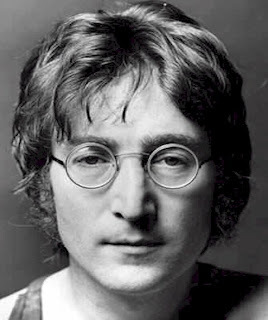 Lennon along with Paul McCartney formed one of the most influential and successful songwriting partnerships and “wrote some of the most popular music in rock and roll history”.